This quote comes directly from my litter. "What a great (and frugal) gift idea! 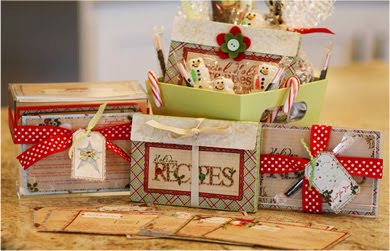 Go here for all sorts of wonderful free downloads and ideas to help you create recipe card gifts. The downloads include 14 different recipe card designs, cover pages, word art, gift tags, and more. The sky's the limit with what you could do with these!"